Experience firsthand leading and cutting-edge Cyber Operations solutions at the immixGroup Cyber Ops Demo day on Wednesday, May 8 at the Virginia Tech Research Center in Arlington. Learn how these solutions can address your agency’s cybersecurity mission goals and ask questions of the experts who know these tools inside out! Each sponsor will give a 30-minute demo session. You will have six presentations to choose from. All will be repeated throughout the day. Earn up to 3 CPE credits if you attend all six demos. 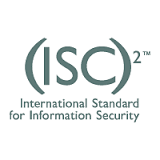 You must have an (ISC)2 member ID to qualify. An immixGroup photographer may take photos or video of attendees for immixGroup use and may appear in immixGroup collateral, website, or other materials. Your attendance constitutes your permission and consent for the subsequent usage of this photography.